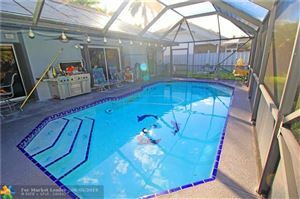 LARGEST POOL HOME IN SHANNON LAKE ESTATES! 4000+ SQ FT OF HOUSE! UPGRADED 5 BED, 3.5 BATH WITH NATURAL LIGHT EVERYWHERE! NO EXPENSE SPARED! CUSTOM EAT IN KITCHEN W/ WOOD CAB, LARGE KITCHEN ISLAND W/ GRANITE! FORMAL DINING, LIVING & FAMILY RMS. MASTER BDRM & JR MASTER ON GROUND FLOOR. WALK IN CLOSETS OVERSIZED ENCLOSED MEDIA ROOM. ACC SHUTTERS! SOLID BRAZILIAN CHERRY WOOD FLOORS. TANKLESS WATER HEATER. WOOD BURNING FIREPLACE. SALT WATER POOL WITH PEBBLE TECH LIFE TIME FINISH! POOL EQUIPPED WITH SUN SHELF AND RUNNING WATERFALL! SECOND FLOOR SUN DECK OVERLOOKS PATIO AND POOL. BUILT IN OUTDOOR KITCHEN WITH GRANITE COUNTERTOPS AND GAS FED FIRE PIT. NON SLIP TURKISH MARBLE DECKING. Oversized 5th bedroom/bonus room being used as a media/theater room. BEAUTIFUL HOME IN GATED COMMUNITY. WEST SUNRISE BESIDE SAWGRASS MALL. FEATURES KITCHEN WITH GRANITE COUNTERTOPS, CUSTOM WOOD CABINETS & STAINLESS STEEL APPLIANCES. NEWER WOOD FLOORS DOWNSTAIRS. KNOCK DOWN CEILINGS. OVERSIZED 18X18 MASTER BEDROOM WITH HIS/HER WALK IN CLOSET & WALK OUT BALCONY. MASTER BATH HAS DOUBLE SINKS, JACUZZI TUB & SEPARATE SHOWER AND BIDET. HUGE BACKYARD FOR KIDS TO PLAY WITH BREATHTAKING LAKE VIEW. SPACIOUS ENCLOSED BACK PATIO FOR BAR-B-Q's, FAMILY DINNERS OR PARTIES. BARREL TILE ROOF. HURRICANE ACCORDION SHUTTERS UPSTAIRS & PANELS DOWNSTAIRS. WALK ACROSS THE STREET TO MALL & UPSCALE RESTAURANTS. 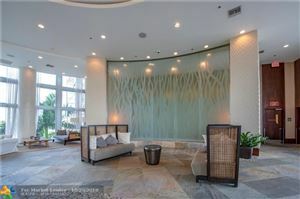 15-20 MINUTES TO FORT LAUDERDALE INT'L AIRPORT & WHITE SAND BEACH. LOW HOA. 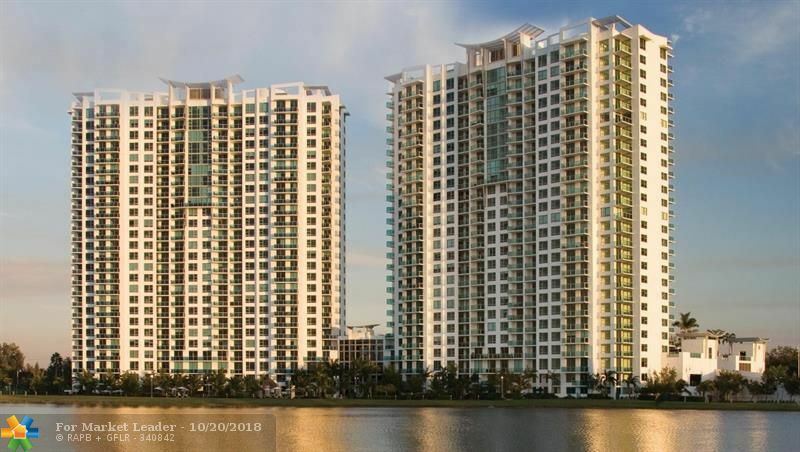 BRAND NEW ROOF 2018, LOTS OF UPGRADES.BEATIFULL LAKEFRONT 4 BEDROOMS AND 2.5 BATHS HOME.BRAND NEW KITCHEN W/GRANITE COUNTERTOPS AND BACKSPLASH, SS APLIANCES, PANTRY, EAT IN KITCHEN W/LAKE VIEW.NEW PORCELAIN 24"TILES ON FIRST FLOOR AND SAME TILES IN 2 BATHROOMS UPSTAIRS W/MATCHING WOOD VANITIES CABINETS/GRANITE .WOOD LAMINATE FLOORING ON SECOND FLOOR .LARGE MASTER BEDROOM W/WALKING CLOSET.LIVING/ DINING AREA W/HIGH CEILINGS AND HUGE LAKEVIEW. NEW PAINT INSIDE AND OUTSIDE.COMPLETELY FENCED BACKYARD/FRUIT TREES AND LAKE VIEW. SELLER MOTIVATED, BRING ALL OFFERS! BEAUTIFUL 3/2 DOVE MODEL UPGRADED TO THE MAX! HI IMPACT WINDOWS AND HI IMPACT DOORS (FRONT AND BACK). IMMACULATE. NEW HARD WOOD FLOORS APPROX 4 YEARS- BEDROOMS CARPET, REMODELED KITCHEN-GRANITE COUNTER TOPS, MAPLE WOOD CABINETS, NEW DISPOSAL, NEW WATER HEATER, AC 3 YEARS , REMODELED BATHROOMS PORCELAIN TILE FLOORS,GRANITE COUNTER TOPS,FRAME LESS SHOWER, UPGRADED TILE ON PATIO. LUSHLY LANDSCAPED FENCED BACKYARD. MOVE IN CONDITION. RAIN GUTTERS ADDED. EXCLUDE SECURITY CAMERAS, POTTED PLANTS OUTSIDE STAY AND WORK BENCH IN GARAGE STAYS. WOW!! 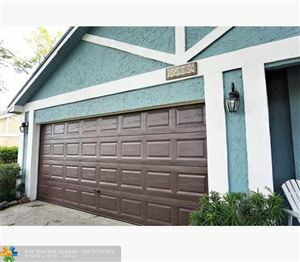 LARGE 4 BEDROOM/2 BATH LAKEFRONT HOME IN BANYAN ESTATES. HUGE FENCED-IN YARD OVERLOOKING LAKE. EXTENDED PAVER DRIVEWAY. REMODELED KITCHEN W/GRANITE-COUNTERS & STAINLESS-STEEL APPLIANCES. NEW FLOORING, REMODELED BATHROOMS, FRAMELESS SHOWER-DOORS, LARGE INSIDE LAUNDRY ROOM. NEW A/C, HOT WATER HEATER, & IMPACT-MODIFIED GARAGE DOOR. WHERE ELSE CAN YOU FIND A 4-BEDROOM LAKEFRONT HOME FOR THIS PRICE? THIS IS THE ONE!! Show true Pride of Ownership. Very Large Well Maintained Home in Sought After Community. A True 4 Bedroom Home Features Formal Dining Area Family Room, Large Living Room, Eat In Kitchen, Upgraded Kitchen & Bathroom. If you have been looking for a Home that Has it all this is It. Come live in desirable RIVERBEND. 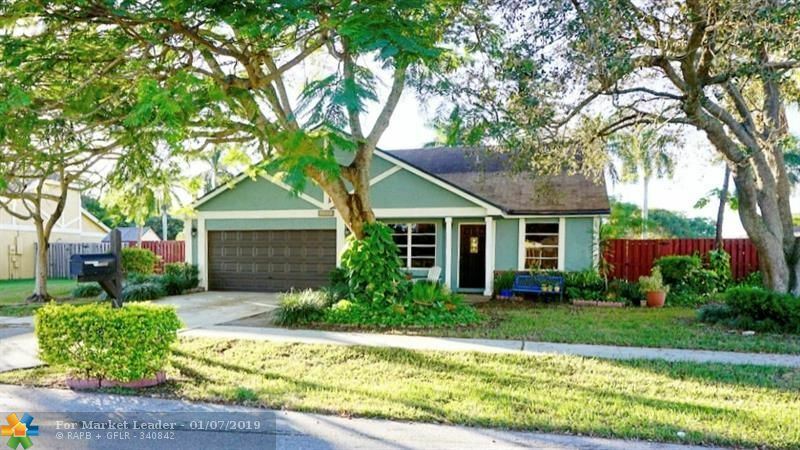 This beautiful split floor plan house is on a lake providing water front views from the patio to the private, fenced in tropical back yard garden, palm trees and all. Inside there are tile and wood floors, 3 bedrooms , 2 bathrooms. a living room, dining room and spacious newly renovated kitchen with high quality granite countertops and updated appliances. A two car garage and large driveway allows enough room for a big family. The community pool and playground, a few steps down the street is perfect for the South Florida weather. A low HOA covers the well maintained community and front yard. Some repairs needed in bathrooms. Review Broker remarks for important info. ***JUST REDUCED $10,000. DOLLARS**OWNER ANXIOUS TO SELL! BRING ALL REASONABLE OFFERS! ** SPECTACULAR 3/2 DOVE MODEL. IMMACULATE. SHOWS LIKE A MODEL. REMODELED KITCHEN GRANITE COUNTER TOPS, GRANITE BACK SPLASH, AND GRANITE SNACK BAR--TRUE CHEF'S DELIGHT. REMODELED MASTER BATHROOM--QUARTZ COUNTER TOPS, FRAME LESS SHOWER, LUXURY BATH. AND 2ND BATHROOM REMODELED. SPLIT BEDROOM PLAN. SPACIOUS MASTER BEDROOM WITH LOTS OF WINDOWS. LIGHT AND BRIGHT. LARGE FENCED BACKYARD--GREAT FOR PETS. AC 2 AND 1/2 YEARS NEW. WASHER/DRYER-3YRS NEW, NOTE: REFRIG IN W/D ROOM DOES NOT STAY. SECURITY LIGHTS FRONT AND BACK DO NOT STAY. 3 CEILING LIGHTS IN GARAGE DO NOT STAY. 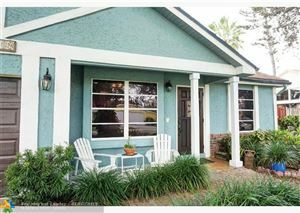 YES, YES, YES, THIS IS A TRUE 4 BEDROOM 3 BATHROOM 2 CAR GARAGE SINGLE FAMILY WATERFRONT 2 STORY POOL HOME. ONE BEDROOM ONE BATHROOM ON THE FIRST FLOOR. 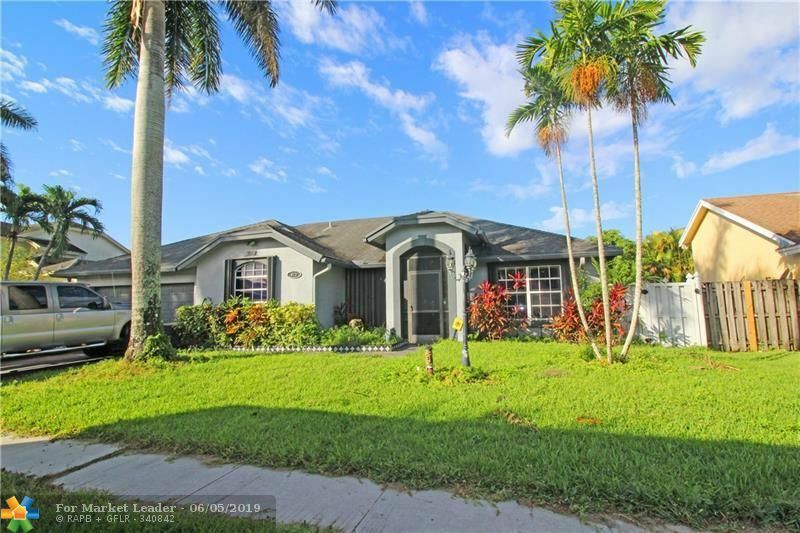 THIS HOME IS COMPLETELY UPGRADED, NEW KITCHEN WITH STAINLESS STEEL APPLIANCE, GRANITE COUNTER TOP NEW BATHROOMS, LARGE FAMILY ROOM LEADING OUT TO THE POOL WITH HUGH BACK YARD THAT IS COMPLETELY PRIVATE. SHOW AND SELL!!!!!!!!!! SELLER WILL GIVE BUYER $9000.00 TOWARDS CLOSING COST OR FLOOR CREDIT!!!!!!!!!!!!!!!!!!!!!!!!!!!!!!!!!!!! 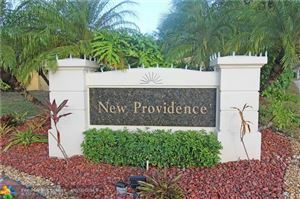 LUXURY 4 BED 2 BATH HOME NEAR SAWGRASS MALL & FUTURE MAJOR DEVELOPMENT METROPICA. EXTREMELY DESIRABLE AREA. THIS STUNNING HOME HAS BEEN COMPLETELY UPGRADED WITH LUXURIOUS FINISHES. BRAND NEW PROPERTY IN THE INSIDE; THIS HOME WAS DESIGNED FOR LUXURIOUS LIVING. 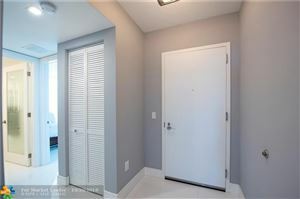 BRAND NEW CUSTOM KITCHEN WITH MARBLE & GLASS BACKSPLASH, WHITE QUARTZ COUNTERTOPS, BRAND NEW STAINLESS STEEL APPLIANCES, CUSTOM UPGRADED TOUCH SMART FAUCET WITH AUTO ON/OFF SENSOR. BRAND NEW BATHROOMS WITH UNIQUE FINISHES LIKE FRAMELESS GLASS, MARBLE FLOORS, MARBLE DESIGN TILE. LED THROUGHOUT HOME AND MUCH MORE. COME & SEE! Motivate seller, Great Value, Big 2-Story, Volume Ceiling, 3 Bedrooms, Loft (good for 4th Bedroom), & 2.5 Bathrooms, Master Bedroom Downstairs, Updated Kitchen w/ Granite Counter Top, Bay Windows, Stainless Steel Appliance, New Range, New Dishwasher, & New Microwave, New tiles in Living room and New Laminate wood Floors in Master Bedroom & Loft, Accordion Shutters, Big Enclosed Backyard (Great for entertainment), Formal Dinning Room, Updated Bathrooms, low HOA fee, Weston Schools, Conveniently access to I-75, Bright & Spacious, Easy for Showing.